We have just bought a stunning Holiday Home in Turkey with the help of Place Overseas - J & H Townsend. Join many happy clients who have purchased their holiday homes in Turkey popular Mediterranean and Aegean resorts. The perfect holiday is one where you can leave your life behind. Strolling on the beach, lounging in a quaint cafe, relaxing with your family, the stresses of daily life are forgotten. Turkey is the ideal holiday home location: its laid-back atmosphere and long sunny days permeate every pore. Turkish Holiday homes present you with the opportunity to leave your life behind and enjoy one of the finest coasts in the Mediterranean. 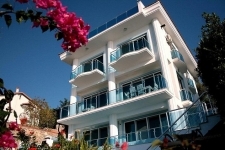 Our popular Turkey holiday homes are located in Bodrum, Fethiye, Kalkan, Kas, Side and Antalya. These area not only provide ample sun, sea and sand but plenty of attractions to explore from ancient cities to Roman ruins. 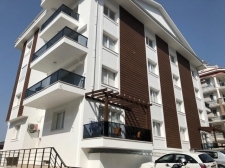 In addition, your holiday home in Turkey Fethiye, or Bodrum or Kalkan will generate very handsome rental income too. When you’re ready to explore, you’ll discover some of the most arresting attractions in the world. The Mediterranean and Aegean coastlines were home to some of the world’s oldest civilizations and this past has been preserved in attractions like Ephesus and the ancient ruins one sees daily. The rich history of theatre and the arts continues into the present day, with most centres organising cultural events throughout the summer months. Food is fresh, cheap, and bursting with flavour. Compared to other Mediterranean countries, Turkish holiday homes are extremely affordable to buy. Property prices are rising rapidly, allowing buyers the dual advantage of not only owning a holiday home, but earning respectable capital gains on their investment. A shortage of rental accommodation means that those who wish to let their holiday home will have a steady stream of rental income. Fueled by a steady economy, housing prices are expected to rise more than 10% each year – bright prospects, especially when compared to other Mediterranean countries like Greece and Spain. Head to Turkey for affordable holiday homes and exceptional return on investment. Your holiday home in Turkey will also be your nest egg for sure.